Today, while hiking along the Coastal Trail just below Ridgecrest in Mt. Tam State Park, my hiking buddy and I found this amazing creature. It’s a Western Sheepmoth. 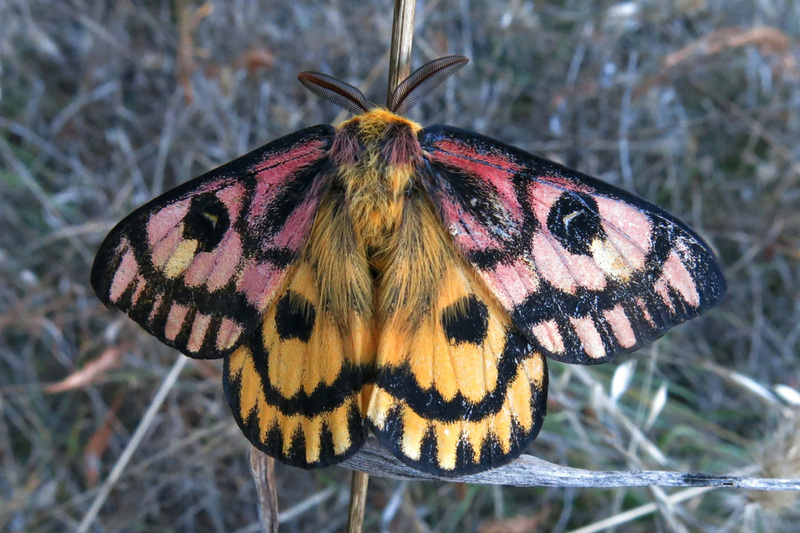 Although dazzling butterflies get most of the calendar photos, some moths are also large and spectacular. Unlike butterflies, moths are often amazingly cooperative photo subjects if you catch them in the right mood. This creature was in some kind of torpor when we found it perched on a blade of dry grass beside the trail. Although it didn’t move much during our 10-minute visit, it was clearly alive. Butterfly photos usually require a long lens because they’re hyperactive and don’t tolerate people at close range. I didn’t have a big camera & long telephoto with me, but it was easy to take pictures of this moth with my pocket camera at very close range. After taking the pictures, we continued on our way. About two hours later, we were back at the photo site. The moth was gone. 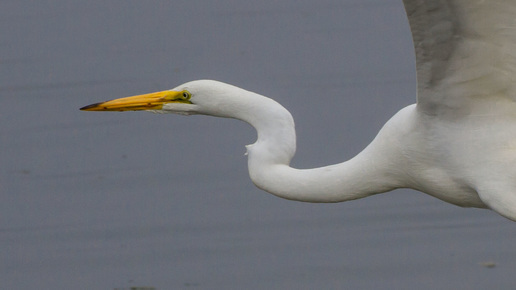 According to my keen observational acuity, Great Egrets have very long necks. It’s quite amazing that they can ‘shorten’ their necks by retracting them into a lumpy ‘S’ - as in the smaller photo below. In flight, egrets fold their necks much more tightly into the compressed S-shape you can see in today’s big photo. All the birds in the heron family (which includes egrets) fold their necks, but other very-long-necked birds (storks, ibises, cranes) fly with their necks fully extended straight forward. A standing or wading Great Egret is a rather awkward looking, vertical creature. 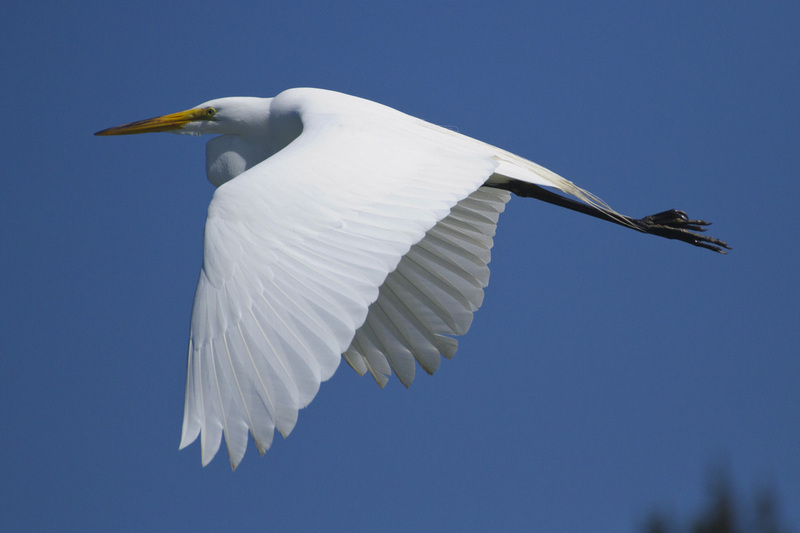 A flying Great Egret is elegant and graceful, with a slow, dignified wing beat. It’s very impressive to watch one at close range as it takes off and transitions from standing to flying. I took the in-flight photo last Thursday at Bolinas Lagoon about 2-3 seconds after the big bird lifted off the beach. While driving home from a bike ride this morning I saw an injured bird in the street. It was about 3-4 feet from the curb on Arlington Avenue and would certainly have been run over by a car before long. I stopped, picked it up, and brought it home to see if it might recover with a little time in protective custody. Of course this situation was a photo-op, so I held the little bird in one hand and took a few close-up pictures with my camera in the other. This was quite a contrast with my typical bird shoot -- i.e., me, chasing birds around for a while with a camera held up to my face as I trip over logs and bushes. During these sessions, I take lots of pictures of branches that had nice birds perched on them only milliseconds before I pushed the shutter button. After my bird-in-the-hand photos and about ½ hour of rest in a box, the bird regained its strength and departed. Cool. I like to take credit for the content of my photographs, but sometimes I find things later that are a complete surprise. 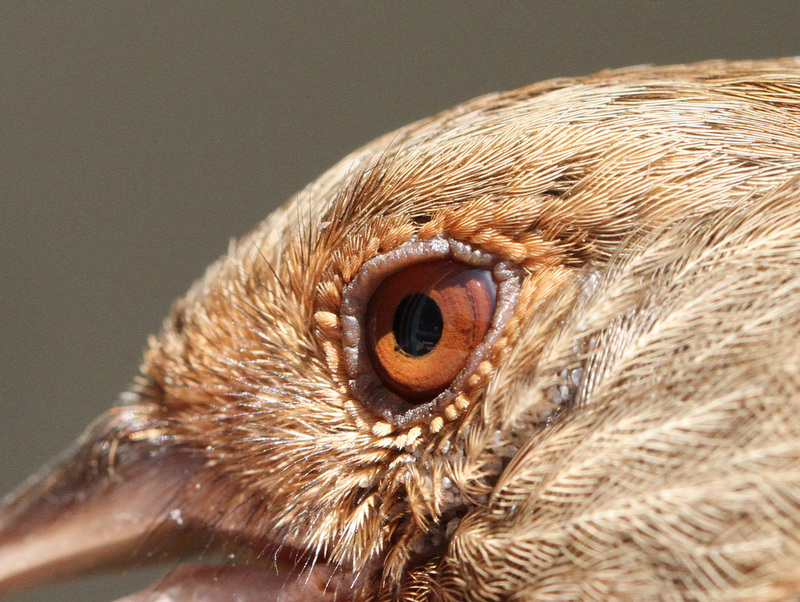 When I looked through these Towhee photos, I saw the insects (2nd photo) at the corner of the bird’s eye in one of the frames. These are bird lice – nasty little suckers (literally), but very common. 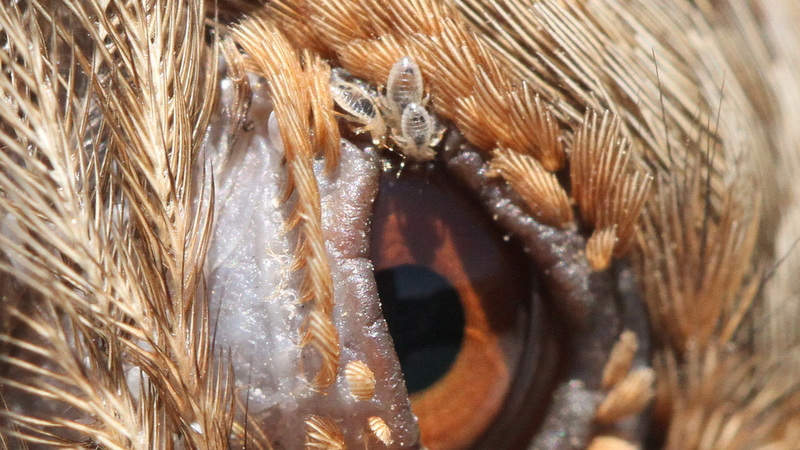 Birds can usually control some of the lice by eating them as they preen. I’m guessing that these lice visited the eye for a drink and then quickly left because later photos of the same eye show no lice. The lice are quite small; I’d guess less than ½ a millimeter long. And -- they are nearly transparent! Check out the stinger on the tail of this scorpion. Fortunately, this particular creature is only about an inch long, but I’m pretty sure a scorpion that reached the size of a Greyhound bus would do just fine in a confrontation with Godzilla. I’m definitely betting on the giant scorpion. I hope the movie is in 3D. Scorpions are extremely ancient creatures and they look it. Fossils show marine scorpions were living 430 million years ago when almost all life forms were still in the ocean. Here’s one way to try to comprehend the immense “deep time” of 430 million years: Think about a small creek that erodes a quarter inch deeper every year. (Some of you have creeks in your back yard, and we know who you are.) If the creek gets ¼ inch deeper every year, it will be 25 inches deeper in 100 years. Got it? OK, that’s not very impressive, but how about in a million years? I’ll do the arithmetic for you; the creek would be about 4 miles deep. YIKES, a Grand Canyon in your back yard, except that the Grand Canyon is only about one mile deep. So we’re good with 1 million years; now let’s try to comprehend 430 million years. See what I mean? (Our hypothetical canyon is now 1700 miles deep…) Wow, that’s a long time. If you don’t think that’s a long time, please read this paragraph again. Over that immense passage of time, scorpions are still scorpions: 8 legs, big pinching claws, and the long segmented tail with a venomous stinger. 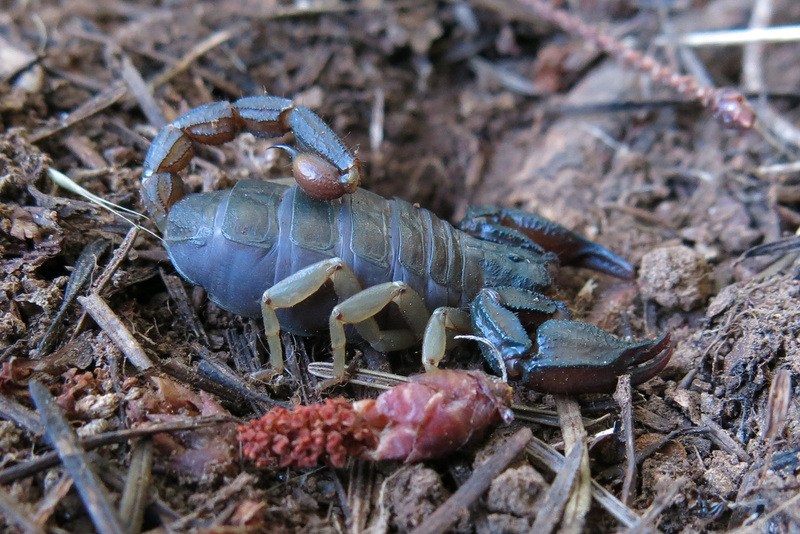 Although scorpions have a deadly reputation, the local ones (like the one in the photo that I found under a rock on Mt. Tam) are not seriously dangerous. 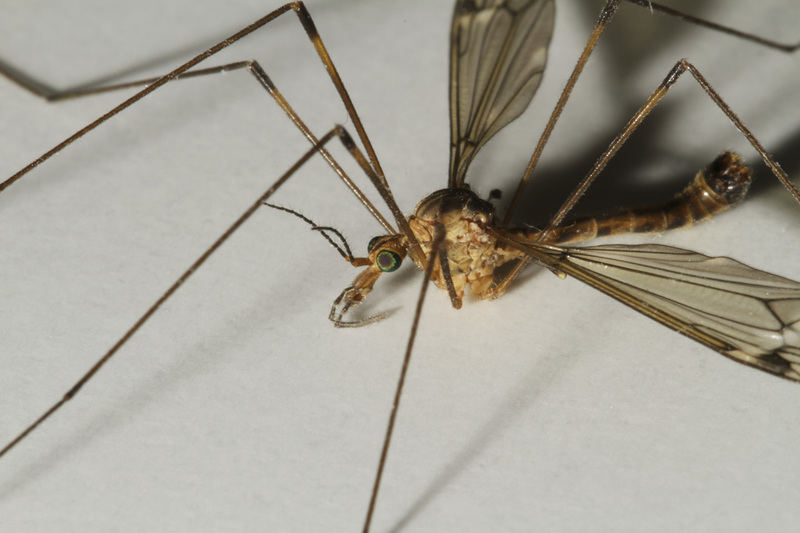 THERE ARE TWO KINDS OF PEOPLE IN THE WORLD: 1) the kind who, upon seeing a BUG, are repelled -- and look for nearby weapons to squish it; and, 2) the kind who seize the opportunity to build a bridge of respect, friendship and understanding with a handsome and charming arthropod cousin. Yes, they are, literally, our cousins! We and bugs have common ancestors from the Cambrian oceans of about half a billion years ago. Some of us resemble these cousins more than others. HUMANS: Best in groups; ask them to line up with arms around each other’s shoulders and grin extravagantly at the camera. Put the camera on full automatic (red-eye reduction = ON) and push the button. Of course all cousins should be released unharmed after photo sessions. This big, handsome bird is far too common. Large flocks gobble up crops and golf courses although personally, I’m OK with geese eating golf courses. 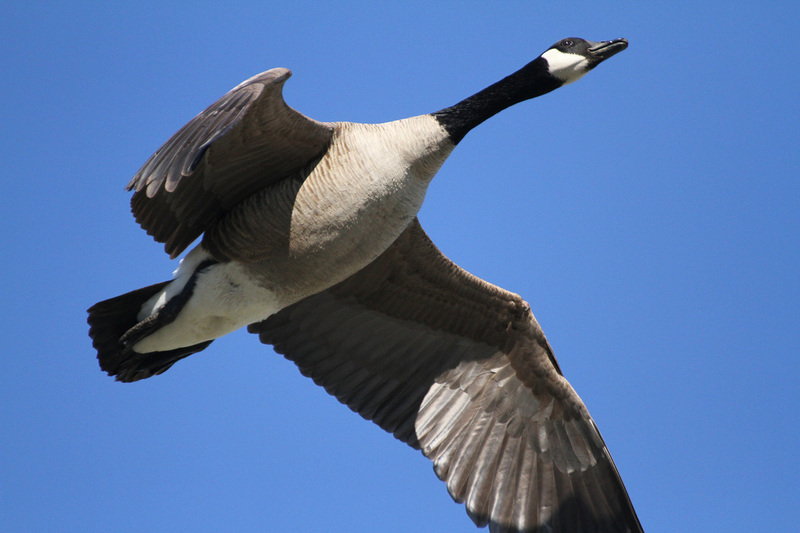 Canada Geese create massive amounts of bacteria-infested feces, often attack people, and even cause plane crashes. Remember “Sully” Sullenberger, the pilot who was a big hero for landing a US Airways plane in the Hudson River in 2009? (BOOKS! TV APPEARANCES! KEYS TO THE TOWN OF DANVILLE! GRAND MARSHALL OF THE ROSE PARADE! …but I’m not sure if he was later exposed as a fraud during an emotional appearance on Oprah.) The Airbus A320 encountered a large flock of Canada Geese just after takeoff from LaGuardia. Several geese were ingested by the jet engines, resulting in an unscheduled flight termination for the jet and the birds.